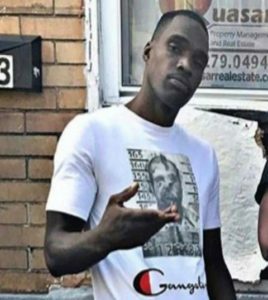 On April 22, 2018 around 3 in the morning Gilbert White was shot and killed in the rear of the 2400 block of Druid Hill Avenue. Baltimore City Detectives need your help finding the person responsible for White’s murder. You can submit a tip at 1-866-7-LOCKUP or click here. If your tip to Metro Crime Stoppers leads to an arrest and charges filed in this case you may be eligible for a cash reward of up to $4,000.